If you or a loved one is addicted to drugs or alcohol, professional and focused treatment is needed to enable you to overcome this debilitating and destructive brain disease. Before you do anything, however, you need to do admit to yourself that you have a problem that you can’t control nor overcome on your own. Once you come to terms with your condition, you will be able to receive the customized and comprehensive treatment. You need personalized treatment because no two people are the same, their addictions are always nuanced and varied, and their addiction treatment programs should be unique and comprehensive. 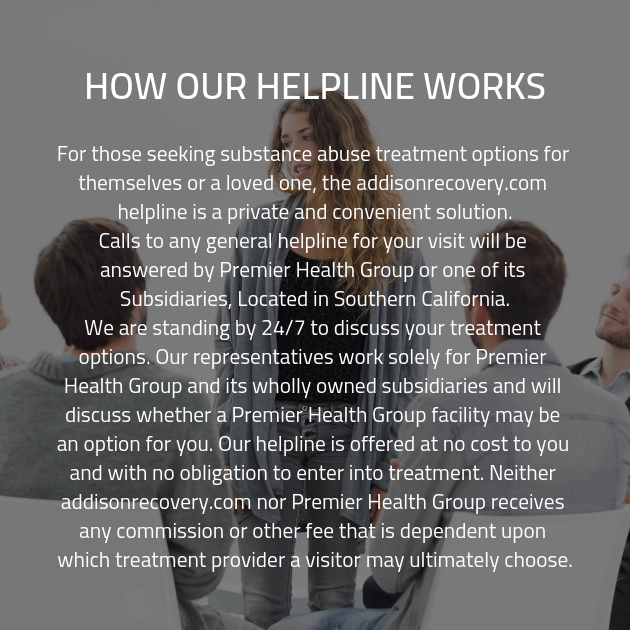 To fully ensure that you are getting the treatment you need, we need to ensure that the addiction treatment program at our drug rehab center will bend to your needs and situation. That way, you can get just what you need to recover and heal. We won’t be able to help you properly, however, if you are not being completely open and honest with us. We won’t be able to help you unless you provide us with the information to do so. Furthermore, the overall community vibe of the addiction treatment center will be hindered if everyone isn’t being honest. The environment we cultivate is built upon trust, guidance, support, and acceptance, and we simply cannot foster this without honesty. You can seek the benefits of this supportive and helpful community, but only if you are completely open and transparent. Another extremely helpful aspect of drug addiction treatment is dual diagnosis mental health. Nearly half the people who seek treatment for addiction are also struggling with an underlying mental health issue that needs to be uncovered and addressed appropriately to eradicate the hold addiction has on you and enable you to seek the treatment you need and the care you deserve. You don’t have to do this on your own, you can overcome, and you can persevere. All you have to do to get started is give us a call and we will begin setting you up with the free consultation that will change your life forever. There is simply no time to waste. We believe in you. Don’t let addiction take over your life any longer. Take back your life. Today is the day everything changes. The professionals will not know how to treat despite their experience if you keep information from them and are deceptive about the details of your addiction.